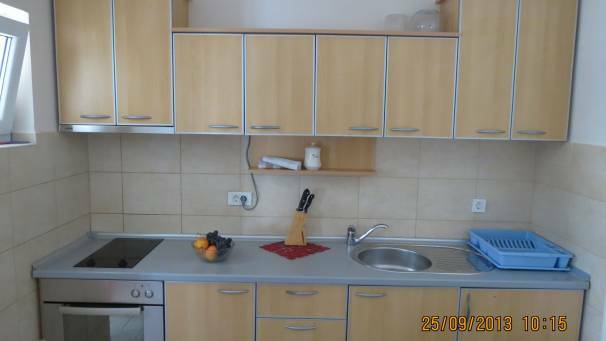 1/4+1 apartment is on the 1st floor. 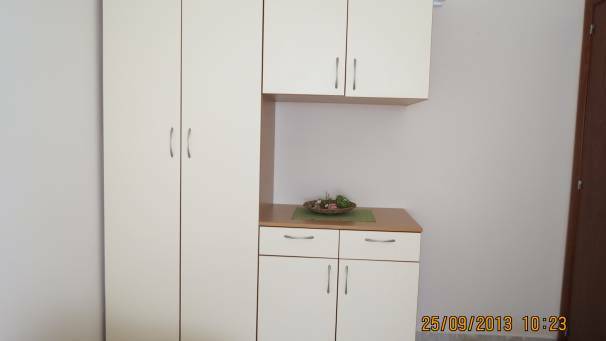 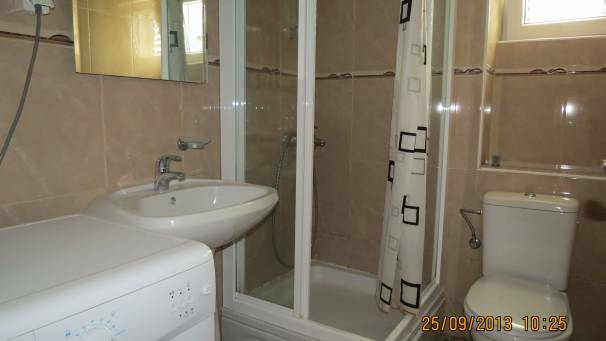 It has one bedroom with two single beds that can be put together, living room with kitchen, sofa bed for two and pull-out bed for one person, bathroom with washing machine and balcony. 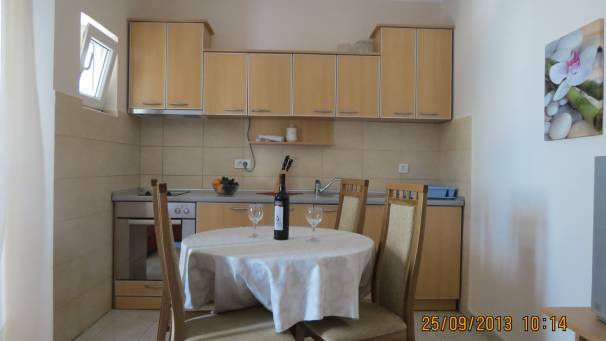 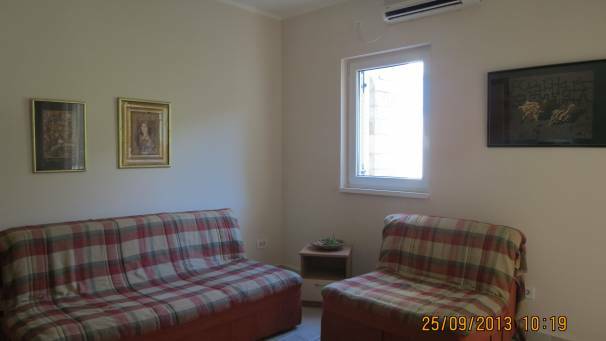 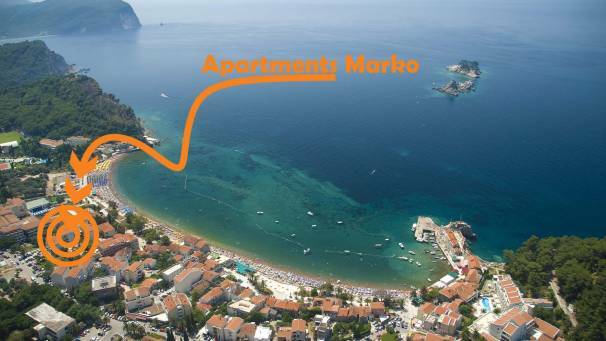 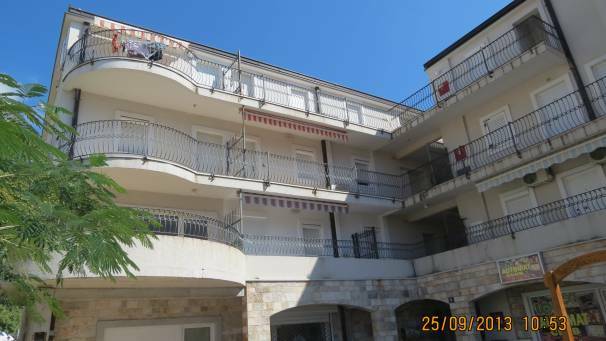 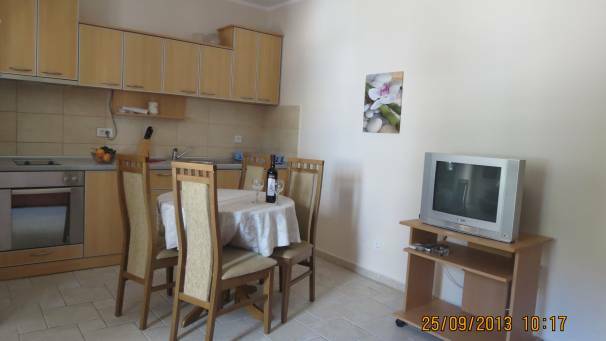 The building is located in the center of Petrovac, in an excellent location, very close to the main promenade and beach (50m), and the post office, market, markets, ambulance and restaurant. 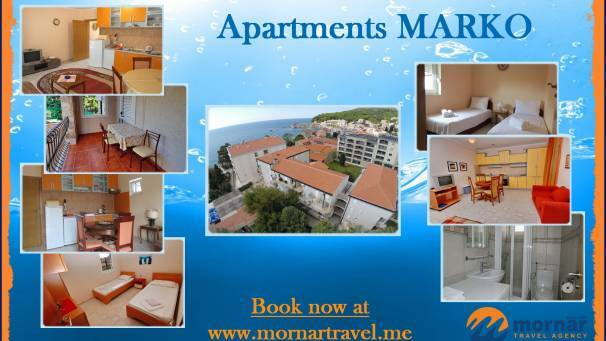 Apartments are on the 1st floor.